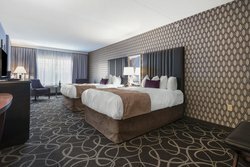 Enjoy the ease of our deluxe Clifton Park, NY hotel, complete with all the services you’re looking for. Our boutique-style property offers the perfect balance of comforts and the practical necessities. Sleep well on cozy King or Queen beds with plush pillows. 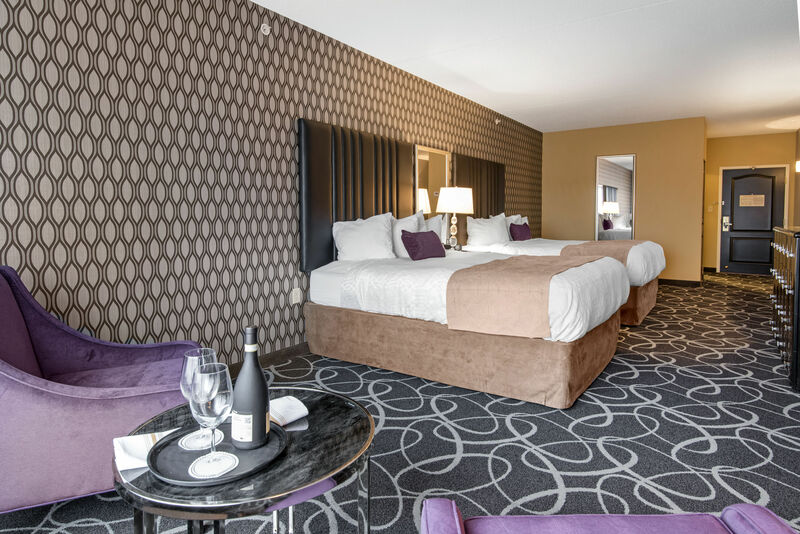 Experience the modern styling of our suites with Art Déco themes and additional touches that are perfect whether you’re visiting for the night or the month. Choose a well-appointed Efficiency Suite if you are planning on an extended stay with us. These apartment-style suites come complete with a kitchen boasting full size appliances, dining area, living room, and washer-dryer. 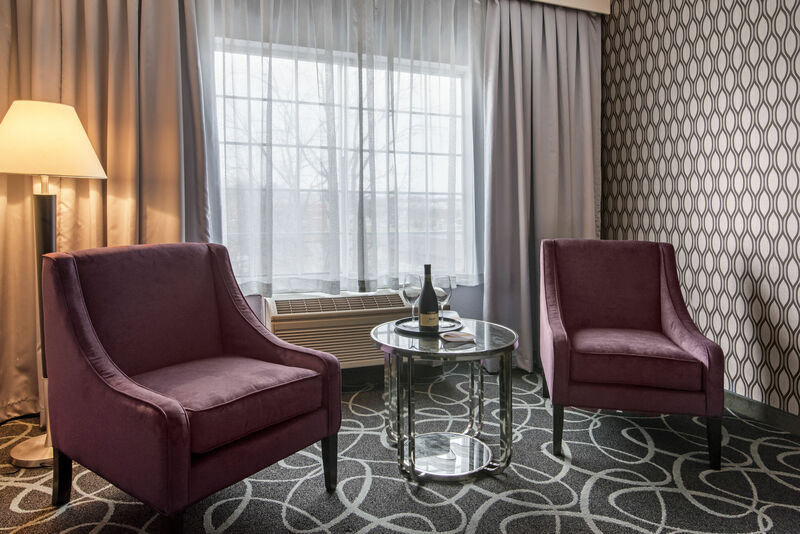 Our boutique property in Clifton Park has been designed with your comfort and needs in mind for an elevated experience when you stay in the Albany-Saratoga Region. Sleep well in a King bed with all the comforts of home. 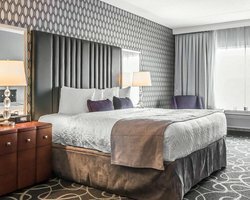 Our upscale suites offer the modern design and quality amenities you’re looking for, including a thick mattress, high-speed Wi-Fi, and a 40” flat-screen TV with HBO and sports channels. Each of our lodgings are equipped with quality amenities so that you have everything you need in your suite. Recline on the chaise lounge or plush bed to watch your favorite show on the 40” flat-screen TV with HBO and sports channels. Each room has a refrigerator so you can keep snacks and drinks available at a moment’s notice. 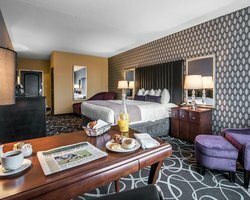 Fall asleep in a Queen bed in a room with all the comforts of home. 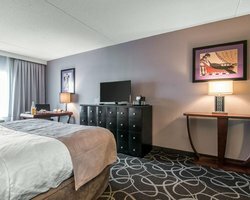 Our upscale Clifton Park lodgings offer the modern design and quality amenities you’re looking for, including a thick mattress, high-speed Wi-Fi, and a 40” flat-screen TV with HBO and sports channels. Find the space you’re looking for with 2 Queen beds. Our upscale suites offer the modern design and quality amenities you’re looking for, including thick mattresses, high-speed Wi-Fi, and a 40” flat-screen TV with HBO and sports channels. Sleep in comfort in our accessible suite with 2 Queen beds. There is a roll-in shower and space for easy turns, in addition to the modern design and amenities you expect from a full service hotel. Relax in your private bubble tub as the ultimate luxury. Our upscale suites offer the modern design and quality amenities you’re looking for, including a thick mattress, high-speed Wi-Fi, and a 40” flat-screen TV with HBO and sports channels. Our King suite has an upgraded bathroom with a whirlpool bath as the ultimate luxury. Our upscale suites offer the modern design and quality amenities you’re looking for, including a thick mattress, high-speed Wi-Fi, and a 40” flat-screen TV with HBO and sports channels. Let the Efficiency Suite be your home away from home with a King bed, separate living room and kitchen, and a washer-dryer to refresh your suitcase. 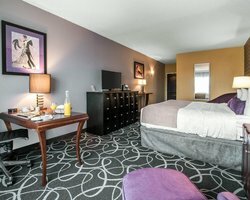 This one bedroom apartment features modern design and all the amenities you’re looking for from full-service Clifton Park, NY lodging. Let the Efficiency Suite be your home away from home with a King bed, separate living room and kitchen, and a washer-dryer to refresh your suitcase. 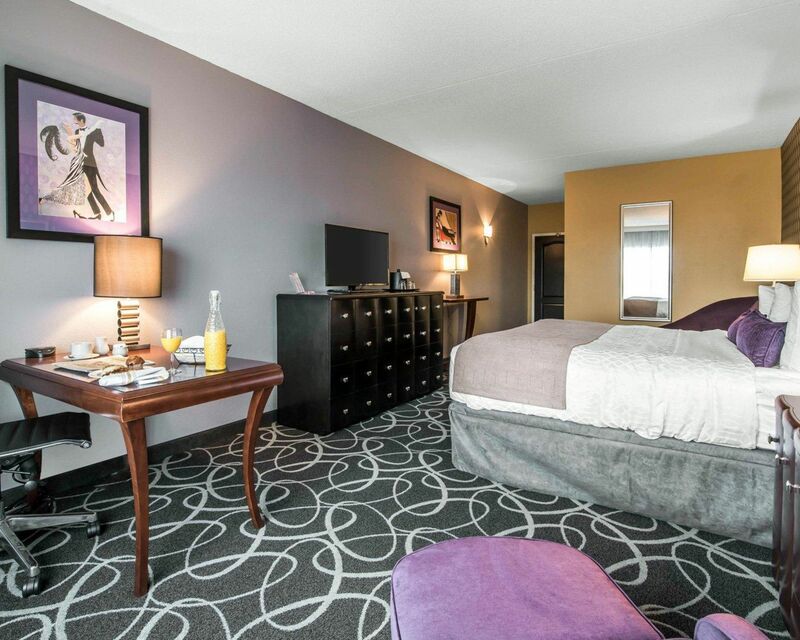 This one bedroom apartment features modern design and all the amenities you’re looking for from a full service hotel. Find the comfort you’re looking for in our accessible suite with a King bed. There are grab bars in the bathroom and space for easy turns, in addition to the modern design and amenities you expect from a full-service hotel. 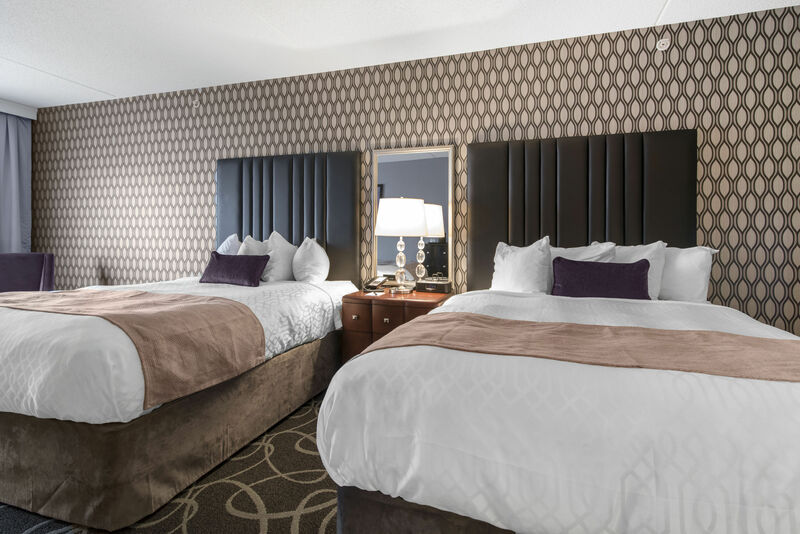 Sleep in comfort in our accessible suite with 2 Queen beds. There is a roll-in shower and space for easy turns, in addition to the modern design and amenities you expect from full-service Clifton Park, NY lodgings.